Larry Schmaltz, PE, hit the streets in Pensacola and made many client visits in the area. 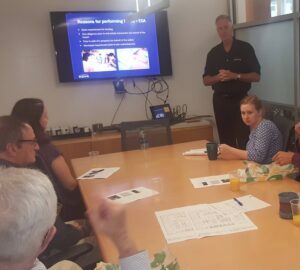 DAG Architects and SMP Architects came together during lunch and all eyes were on Larry as he talked up our environmental capabilities. Larry heads up NOVA’s environmental services across the state of Florida.